A not-terribly-up-to-date list of exhibitions and presentations. April 17-18: New Fulldome Work-in-Progress (details TBA), Australasian Planetarium Society conference, Launceston Planetarium, QVMAG, Launceston, Tasmania. March 18: “2009-10 MHF Expedition Heritage Visualisation”, Mawson’s Huts Foundation annual seminar, Museum of Australia, Sydney. November: “Visualizing the Global Ocean’ and ‘Frozen In Time’, Fulldome Video Showcase VI, University of Texas, Arlington Planetarium (Spitz and E&S). ASTC Conference 2009. October: “Envisioning the Sublime: New Representations of the Antarctic in the Information Age” – public lecture, University of Tasmania. Part of the series ‘Antarctica – the Cultural Challenge,’ – the two other speakers were Sir Guy Green and Professor Tom Griffiths (ANU). April: “Frozen In Time” presented by the Royal Institution of Australia at the Mawson Collection, South Australian Museum. October: Association of Science and Technology Centres (ASTC) Fulldome Video Showcase, Franklin Institute Fels Planetarium, Philadelphia, USA. 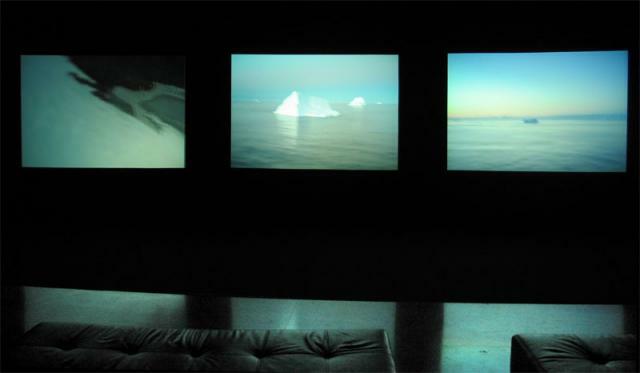 “IMAGinING Antarctica,” John Curtin Gallery, Perth, Western Australia for the Perth International Arts Festival and the International Polar Year. Press release here. A three screen stereoscopic stochastic video installation. HD stereoscopic video material was shot during my 3 month voyage aboard the M.V. Vasiliy Golovnin on an Australian Antarctic Division Arts Fellowship in 2005-6. Video production and Audio design by Peter Morse, software by Paul Bourke. 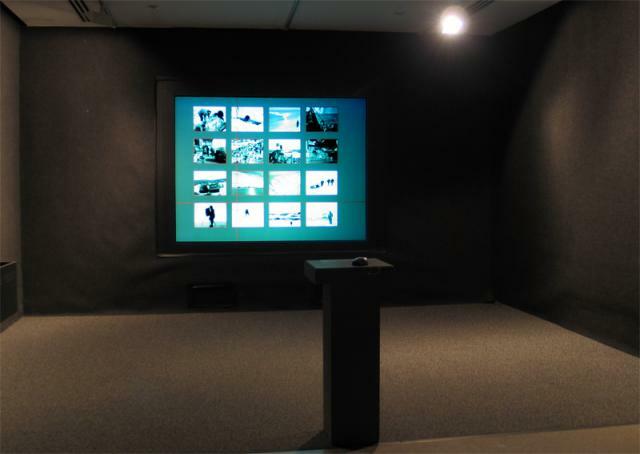 An interactive installation that allowed viewers to select an image via a mouse on the plinth, which would then to full-screen on the projection screen. Images comprised original black and white glass plates by Frank Hurley (digitally restored 1911-14 AAE) and full 360º stereoscopic cylindrical panoramas taken by Peter Morse. Software by Paul Bourke. – Large scale prints of several 360º degree cylindrical panoramas.